Shopping in Strasbourg is tremendous fun, with its combination of established labels speckled with interesting, independent designers. The city has that indefinable worldly touch, brought by the cosmopolitan mix of its role as European capital and a steady flux of international visitors. Albert Weill, who founded the famous Parisian fashion house in 1892 – the oldest in France – was a native of Alsace, so this store on the charming Rue des Hallebardes could be seen as a homecoming to the brand, renowned for its feminine elegance. 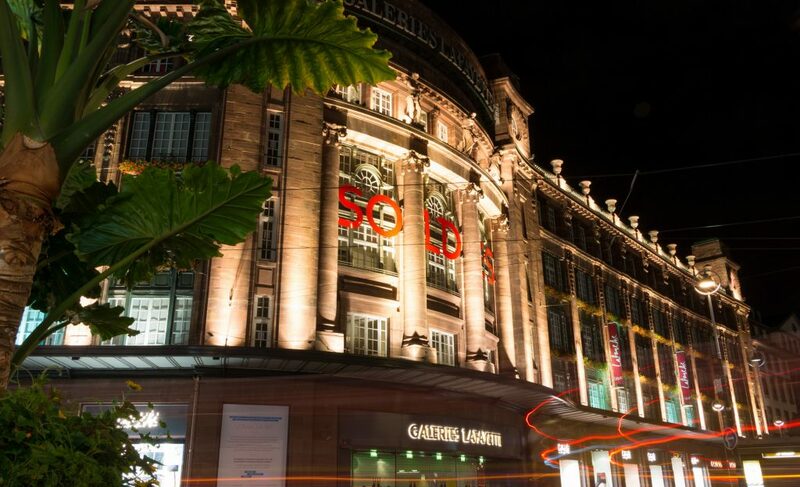 All the main high-street names and a good number of unique brands congregate in Galeries Lafayette, selected by savvy buyers to be on-trend, at price points that fit every budget. It is quite easy to pull together a head-to-toe outfit down to the last accessory without leaving the shop. Scale is a matter of personal preference, but for shoppers who are browsing for the widest range of choices possible under one roof, this classic superstore is hard to beat. For fans of goth, punk or heavy metal, this spot is a dream come true. Catering also to more classic tastes, Grunge Boutik carries basic pieces and accessories to spice up your staples and give an edge look to any outfit. An emporium of luxury brand names all living together in an attractive and upscale setting. Dior, Prada, Miu Miu prêt-à-porter and luxury accessories all share shelf space with the latest, carefully selected designs. No bargains here, just pure shopping indulgence. 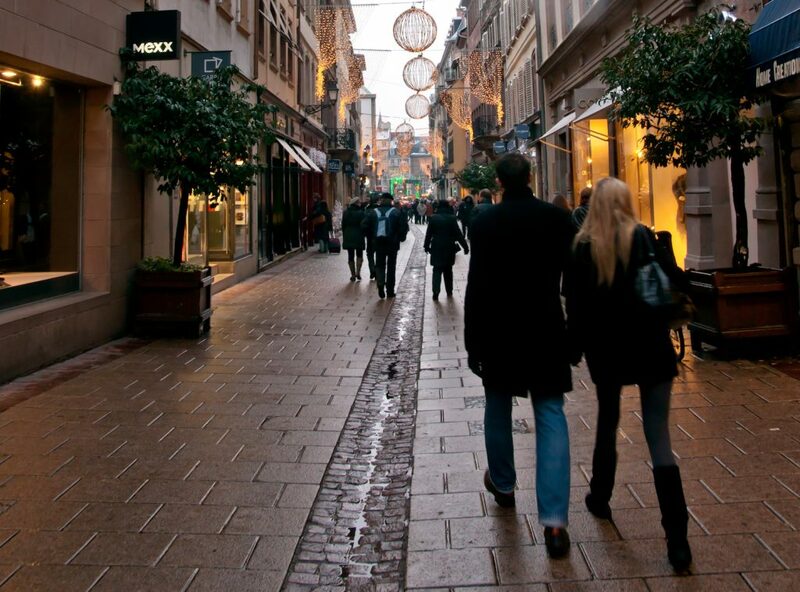 Located on one of the most elegant streets in Strasbourg, Atmosphère carries a number of top brands with a wide choice of styles, from Save the Queen, to Bleu Blanc Rouge and others. Their accessories are seriously fabulous. This is one of the must-visit boutiques in the city, offering a wide selection of brands such as Suggest, Pain de Sucre and Guess – a perfect destination for one-stop fashionistas. The well-known lingerie label with a loyal following has its home just a few minutes from the Strasbourg Cathedral. A lovely and intimate destination to heighten your sense of feminine style. Here is the perfect his-and-hers address, with Algorithme for men and La Loggia for women. The comforting decor is designed to make shoppers feel instantly welcome, encouraging them to browse and explore the upscale brands while sipping a cup of coffee, making for a completely luxurious shopping experience. 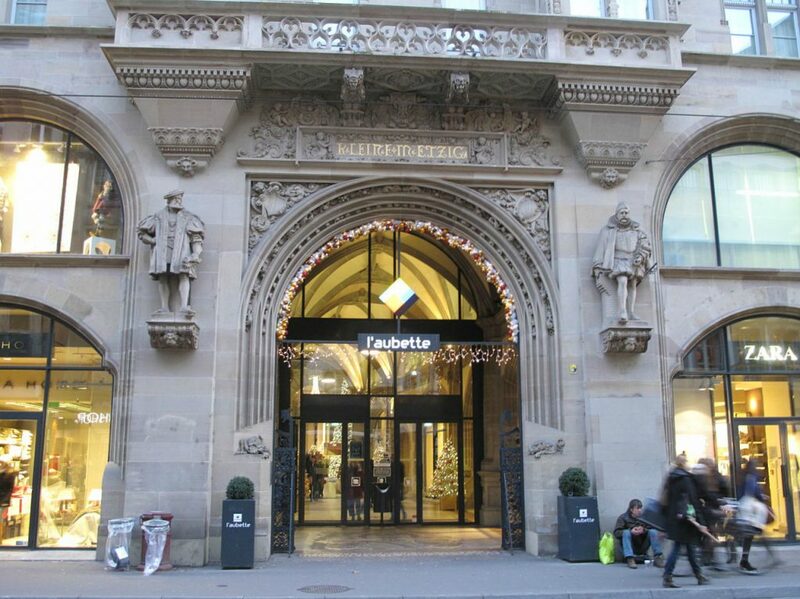 At the heart of Strasbourg, L’ Altra is the ultimate destination for elegance and impeccable taste. From ready-to-wear items to accessories, bags and shoes, fashion mavens trust this store to put together a flawless, polished look. The local capital of lingerie, Alice Lange Le Boudoir invites guests to explore its two floors entirely dedicated to feminine elegance. The skilled staff is ready to provide tips and advice and an alteration service ensures that the fit is just right.